Day Eight of Forty- 1, 2, 3. THIS is what my life has come to. The highlight (so far) of 2012. 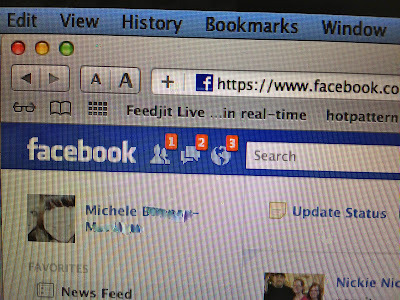 I was pretty excited to see those notifications. I mean, how often does that happen? Never, right? Well it happened to me, yes-sir-ee!! In fact, I saved this picture, even though my daughter BEGGED me not to. I tried to tell her, "This is what can happen when we dream big enough." She just shook her head and walked away. I know, I know. I set the bar pretty high. Day Seven of Forty- Good Boy! "Mom, the girl who sits next to me said that we were on Math 14 and I said 'No, we were on Math 13'." he said. "Then the teacher said we WERE on Math 13, I knew I was right! But then..." he continued. "Yes?" I asked, now interested in where this was going. "Well, when I looked at the girl to tell her I WAS right, she made a mean face and I got nervous... I just decided I should leave it alone. I think that was best." Yes, little man. Yes, it was. It's hard to describe the pride I carry when a boy as little as he learns such a big lesson. Keeping the peace with a woman NEVER starts with an, "I told you so." Day Six of Forty: "Zippy-di-do-da!" 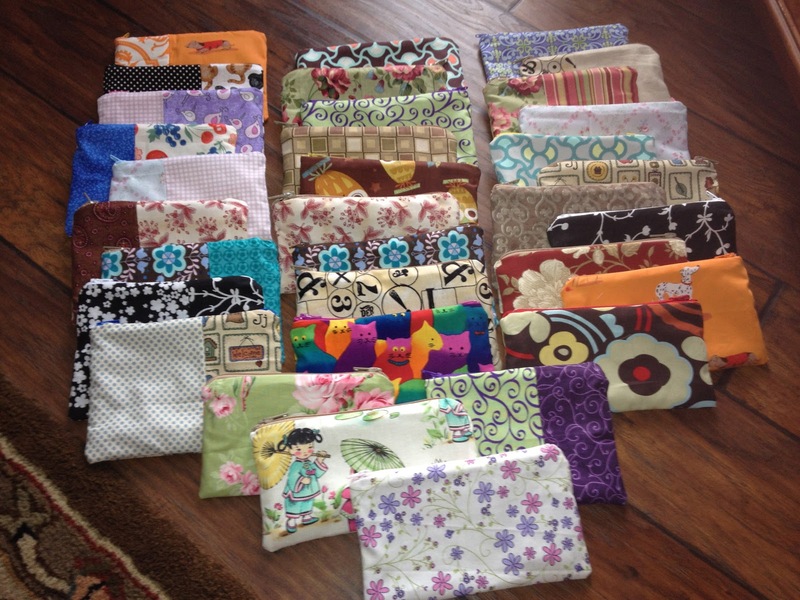 I've been overwhelmed this winter with a ton of fabric scraps. There's not enough of one kind of material to make a whole bag, but there is too much to warrant throwing any of it out. but that piece is on the bottom of the pile. and it all falls over. than folding uneven pieces of fabric into a pile; color-coded, no less. That happens to everyone, right? I promised myself (and the man) that I would try to use up some of the fabric I already own before bringing any more into the house. Trust me, that WAS the plan. But this afternoon, Fabriclovers.com dropped off a few yards of some incredibly gorgeous new spring cottons. I'm not going to lie to you, they are bee-you-tee-full!! Thank you, Springtime and thank you adorable UPS man! I call fair on the delivery though, because the fabric is for custom orders. The husband was home sick today.. so when the delivery truck stopped in front of our home, I ran to intercept "whatever" was being delivered. Ahem. Me trying to sneak that package into the house, looked like nothing short of a drug deal...Yes. Yards of Kona cotton is my drug of choice and my dealer drives a brown box truck and wears shorts in the winter. Back to the leftover fabrics. What to do, what to do? 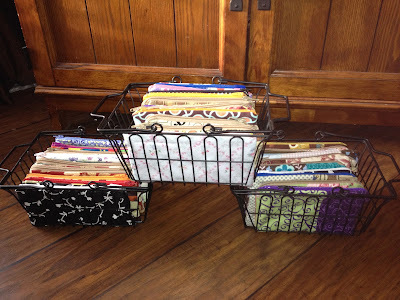 About a week ago, I decided that I wasn't going to let the scraps go to waste, so I made a bunch of little Zippys. Do you remember the Zippys? They are little wallet-sized zipper pouches that are made with cute fabrics and lined with sometimes, even CUTER fabrics. They are small enough to throw in your bag, but just big enough to hold the important things, like a phone, tissues or credit cards. If you're me, they hold lipstick, business cards and emergency chocolate. What more does a girl need? Seriously, look out for those cute little Zippys. A few of you already have one, but you might need another and you can always give one away as a gift. They're a great deal at between five and seven bucks each plus shipping. Be patient. They take a while to load in the shop. I just want to give you a heads-up that they are coming...Any questions? Any testimonials? What do/would you keep in yours? You know where to leave your comments. Every girl needs at least one, right? I went to take a pic to show you how big a Zippy was and realized I needed my phone for that (duh! ), so that Blackberry belongs to the man. If I threw in the chocolate, I MIGHT be able to sell him a Zippy. Silly Rabbit. There isn't any more chocolate. Have a beautiful Monday, friends. Day Five of Forty: Blogging or Reading? I read an incredible book by a woman named Ann Voskamp. I had never heard of her, but instead found her in an Amazon search of "being at peace now". The book's title was, "One Thousand Gifts." Something about the cover (a girl holding a nest with two robin's eggs in it) touched me and I was reminded what I was looking for: that simplicity. I knew the irony of ordering yet another book, but I did, which just shows how badly I was wishing for a little calm; a little time to breathe. Admit it. Whether we have due dates at work, play-dates at home or errands to run, there is hardly any time for women to take pause and realize the good all around us. This book was about that. First of all, the prose of this woman was insane. I don't know if it was because she was writing about what I'd been looking for or that she was just another mom looking for life's answers too, but I felt every word she used. I'm not kidding, this book spoke to me from the first page. I find it pompous to try and tell you what to read. Please don't think I'm doing that. My opinions of reading are very personal. This is not a college course and I certainly appreciate everyone's personal interpretations of books. This can be somewhat of a thin line though, because I don't mind at all telling anyone if I loved a book (or not). Still, I would never be as bold as to say, "This book changed my life! It will be the best read of your life! All your dreams will come true if you also read these words! GO! Run like you never have before, and purchase this book. You'll find it on the shelves under "Miracles!" You also won't hear,"Sure, pick up the book, it will make a lovely doorstop.." Nope. This book did strike a chord with me. The author describes a life full of terrible loss and ingratitude towards the world. Even as she was older, Ann lived her days as if she were numb. It all turned around when she started writing down small things she was grateful for. As she continued on, she started to work toward a goal of being thankful for 1000 things. Obviously, there were things she chose like her husband and kids, but beautifully simple things started showing up too, like watching bubbles pop while she was doing dishes, or the way the moon shown bright when it was full. It was gratefulness like this, that also strengthened her personal relationship with God. With each entry, Ann became more and more grateful for the little things she already possessed. It helped her understand the gifts of grace as well as the strength she needed when coping with immeasurable grief. I closed the book with tears, and with hope that I too would find that gratitude in my everyday life. I know it's there; I nod to it every now and then, but have never quite broken it apart so that I could gaze over it; so I could savor it and acknowledge every bit of what I am blessed with. No, this isn't a book review. It is me sharing with you how much I needed someone to remind me of the things I should be thankful for, even in a room all alone. I read a sign on Pinterest (where else?) that resonated with me. It said, "If you woke up with all the things you thanked God for yesterday, what would you have?" I know many of us have different beliefs. The book may not be for your path, but it does give all of us some common ground: The reminder that there is absolutely nothing wrong with finding gratitude in every part of our lives. I'm not sure if I'm suppose to be blogging on Sundays during Lent, but for these next few, I'm going to share with you some "little things" I'm thankful for. Just the opportunity for me to put them out there is going to help me every time I start pouting about all the silly, unimportant things in my world. How about five things? Please, share with me your thoughts. Leave me a comment of something small you are thankful for. 1. Being able to feel the warmth on my face from the afternoon sun. If you close your eyes and sit in just the right chair at just the right time, You can feel summer-like heat on your skin. It's marvelous. 2. Listening to the clicks of a computer keyboard behind me, because it proves that my youngest is feeling well enough to build rooms on "MineCraft." 4. The pure excitement I feel when I visit a previous Blog post and see a new comment. 5. The fear I overlooked this evening to pick up the phone and gab with an amazing Kindergarten teacher, who is also my mother-in-law. I despise the phone, but never the conversations. My story today is not about the unwell, though. No, I'd like to instead share with you a conversation that went on with my middle and youngest child this afternoon while watching "How Do They Do It?" on the Science channel. Yes, we're those people. On a Saturday. Laid out with our blankets, Kleenex, hot drinks and the remote. Who has the energy to do anything else? The Youngest: "That's really gross how they cut her belly. I bet it hurts a lot. I'm glad I'm not a girl." The Middle Child: "That's how you were born, too..."
The Youngest: "Uggggghhhh! Mom!!!! Is that true? They cut your belly? Did it hurt? Did they have to glue you back together?" Me: "Do we really have to talk about this now?" The Middle Child: "Of course it's true and they don't use glue..they use staples...Right, Mom?" Me: "Yes, that's true.. and yes it IS painful, but you get over it, and.."
The Youngest "MOM!!!!! That's so disgusting!" The Youngest: "I've been using that stapler for years!!!" Uh huh. That's my world, friends. All wrapped up like a cute little cough drop. I'm also quite thankful that the youngest, very-curious child was born via C-section..
Three things you WON'T find on Pinterest.. I was making my bed this morning and looking around the bedroom. Hmm. What if someone took a picture of it? What would I want people to see? And then I started to laugh. Loudly. Because the thought of someone capturing the junk in there is nothing short of comical. Why would anyone photograph such stuff? ....Oh yeah, because they write a blog...about imperfection. Hey, I'm a giver. #1 The Ugliest Lamp on the Face of the Earth. In what was one of my "off" days of junking, I picked up this little lady. Yes, she's brassy and heavy. She also has a plug that probably dates back to the days of Edison. 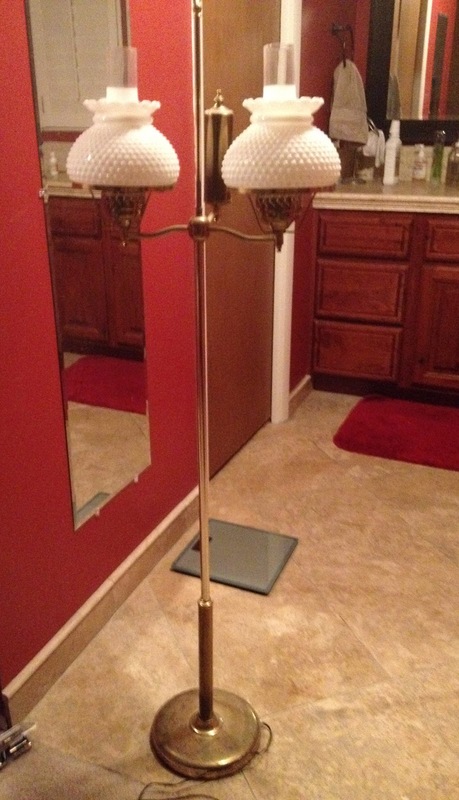 Perhaps the lamp WAS Edison's.... 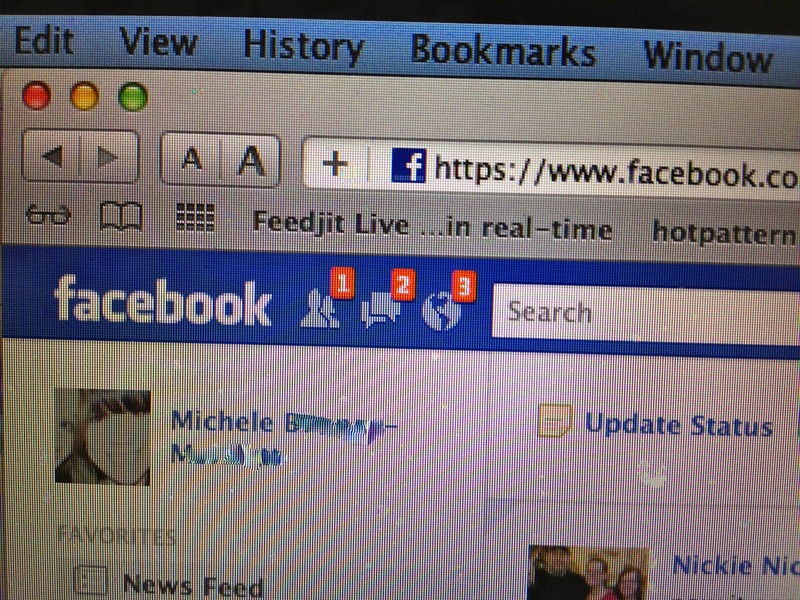 The husband warned me that it was probably not something I'd want to update, but I didn't listen. (shocking, I know.) Instead, I brought it home, put it where I thought it might go, and absolutely hated it. With my head hung in shame, I brought it up to our room where it does not match a thing. That lamp takes up space we do not have and stares at me like the two-headed monster it is. I need to give it away, but who could I do that to??? On my chair. In the bedroom. Really? This is the second machine we've purchased. The first one caught on fire one night while it was pretending to make cinnamon bread. We bought this one, but I can't bring myself to plug it in. I have a hideous fear of fire, and even though this is probably a perfectly-working appliance, I'm pleading "crazy" and giving it away. I know. 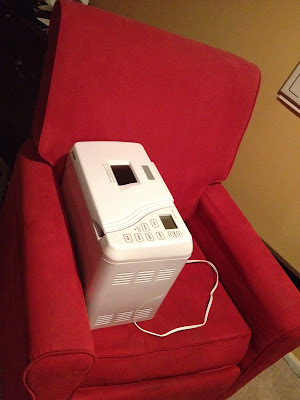 How in the world can I not use a new bread machine but am willing to purchase a lamp that some one's great-great grandmother might have darned socks under? I have no rhyme nor reason; you know that... Anywhoo, it's waiting patiently for a new home. 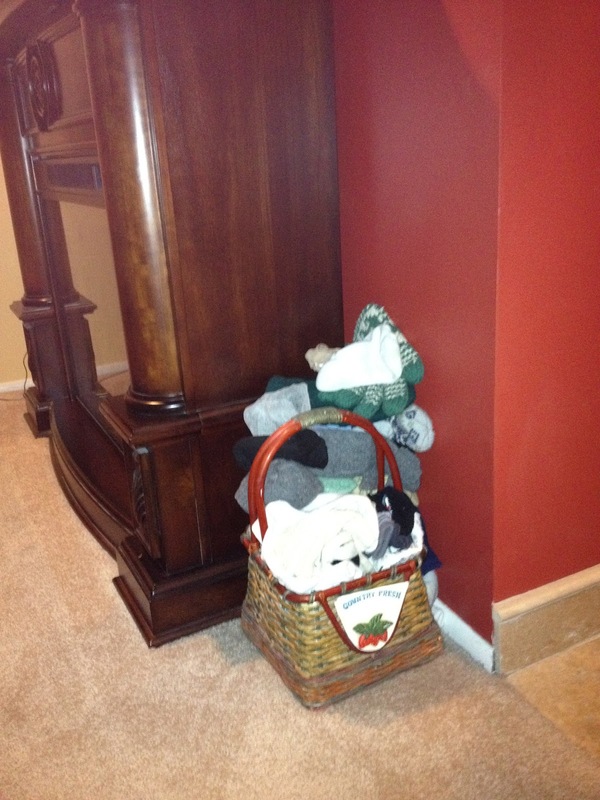 #3 The Dreaded Sock/ Mitten Basket. Dear heavens, people. I have washed 3000 loads of laundry and still have yet to find the matches to these orphans. I am pretty sure I will never find the mates, but on the small chance that one of our children clean their rooms, or somehow we clear our disaster of a garage and find even ONE sock or mitten, I keep that basket. Seriously, there are infant socks in there. We probably have enough money to replace the stained light blue mitten with a hole in the pinkie finger....but what if? What if we find it's mate? Ugh. So, it sits there (and probably always will) until I'm convinced those little loners are truly destined to live their lives out as rags or puppets. There you go. 3 totally non-brag-worthy pictures. Oh my goodness, if there were ONLY three. Day Two of Forty..Yeah baby!! Today was a very good day. I think much of it was due to waking up to a big yellow ball of happiness in the clear blue sky. Imagine how ecstatic I was when I was able to have my coffee this morning with my cheek pressed firmly against the kitchen window, soaking up as much of the daylight as I could.. ahhhhhh. It was a beautiful thing. Shamrock Shakes on the way home from the ceremony AND finding a package of jewelry from my forever friend in the mail? Days just don't get better than this. That's either an overly-positive remark on my part, or a huge reflection of how lame my world has become. If it is, I've never been more excited to be lame..
Straight? What? 40 days of consistent blogging from a woman you've heard from twice in two months? Yep. That's me. I need to work on commitment this Lent, and this seems to be a pretty good place to be held accountable. I'm online so you can leave comments of encouragement. If I fail, hopefully you live far enough away that I won't be able to see you shake your head in shame..If you live close, I'll cross my fingers that you won't find my hiding place(s). My kids and husband ROCK Lent. Completely. There is no respectful way to say it. Each one knows what they want to give up every year and they do it. They do not waver. No soda, no sweets, no fast food. Who are these people? I do not have their strength nor do I have their determination. But what better examples could I follow? So I will practice daily kindness. I will be aware of what I consume, both food and purchases brought into the home. And I will ramble on to you about who-knows-what for the next forty days. I can only imagine the starter-projects I'll now have to finish. Or the embarrassing stories I'll have to tell. Come on, you know you want to follow. Leave comments to tell me how impressed you are that I'm still up and walking every day and that my mind is somewhat intact. Learn something, laugh a little and help out a girl who is working on finishing something (anything) she's started. Make no mistake, there will be chocolate, and large amounts of caffeine involved. But thats ok. I grabbed a young man at the brand-new sporting goods store today and asked him where one might find an exercise pole...you know, a really long one....one I could put up in the basement? The kind my husband could hook up for me so I wouldn't have to use him as a prop anymore? One: Make sure to use the correct term for the exercise pole. It's called a "ballet barre". Three: Make sure the young man actually works at the sporting goods store. Holy Sports Authority! I've warped some young guy...forever. Again. Name tags. Name tags are the ticket, people.